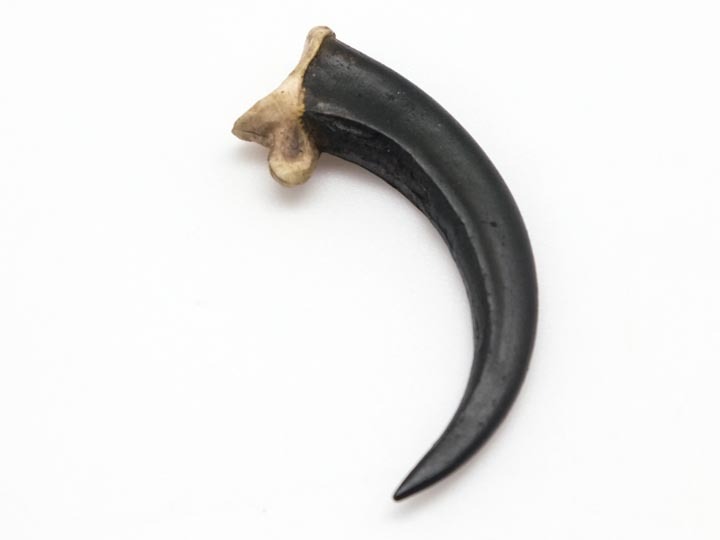 These reproduction (i.e., not real) claws are some of the best quality on the market today. They are made using plastic resin and are then hand painted. We often encounter people who insist that these are real claws--they have even fooled conservation officers. Please note: We are not interested in either buying or selling real eagle claws. Please do not call or write us about this. Eagles are a protected species and we do not deal in real parts.